ElAl is getting on the Cyber Monday bandwagon by offering cheap(er) fares through tomorrow night, Dec.1st, (although this is most definitely a first come first served sort of situation). 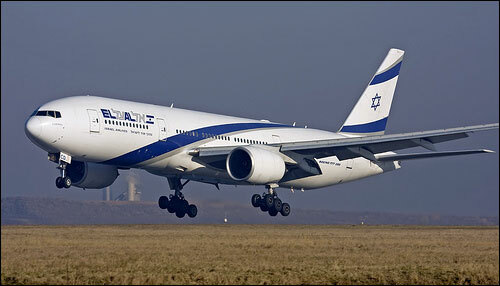 $799 Roundtrip from JFK or EWR to TLV or $1049 roundtrip from LAX to TLV. $105.42 applicable taxes per person (includes the September 11 Security Fee of $5.60 per one-way trip originating at a U.S. airport) is included in the pricing. Cancellation Penalty before departure $250. After departure no refund. The amount of seats available for this promotion is limited. Infant (under 2 years old) pays 10% of the fare. Children (2-11 years old) pays 90% of the fare. Fuel Surcharge included in price. $100 additional charge for 2nd piece of luggage in economy class if purchased at least 6 hours prior to departure and $115 id purchased at the airport. EL AL reserves the right to cancel this promotion at any time.